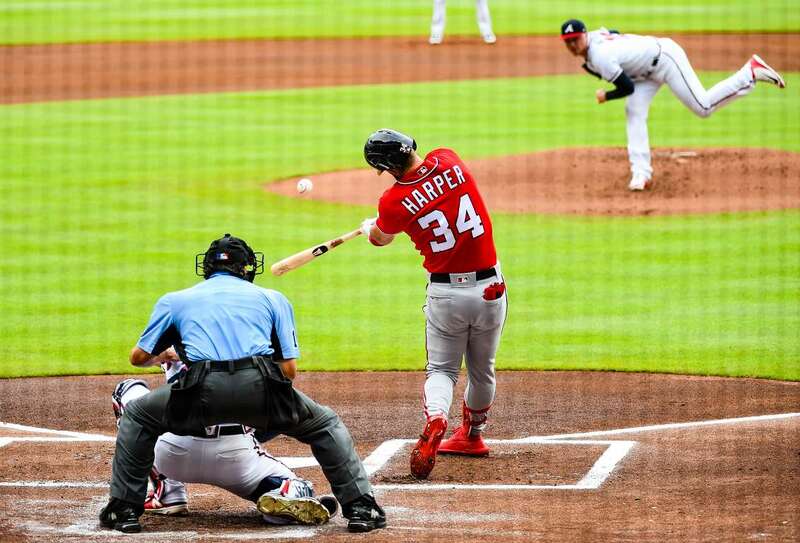 The Nationals' Bryce Harper hits a two-run homer off the Braves' Sean Newcomb on Sunday in Atlanta. The Nationals won 6-4. 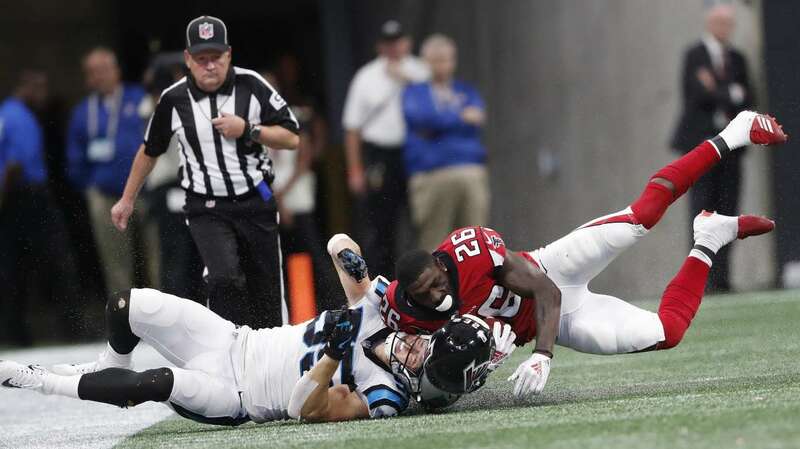 Atlanta's Tevin Coleman, right, is hit by Carolina's David Mayo during the Falcons' 31-24 win on Sunday in Atlanta. 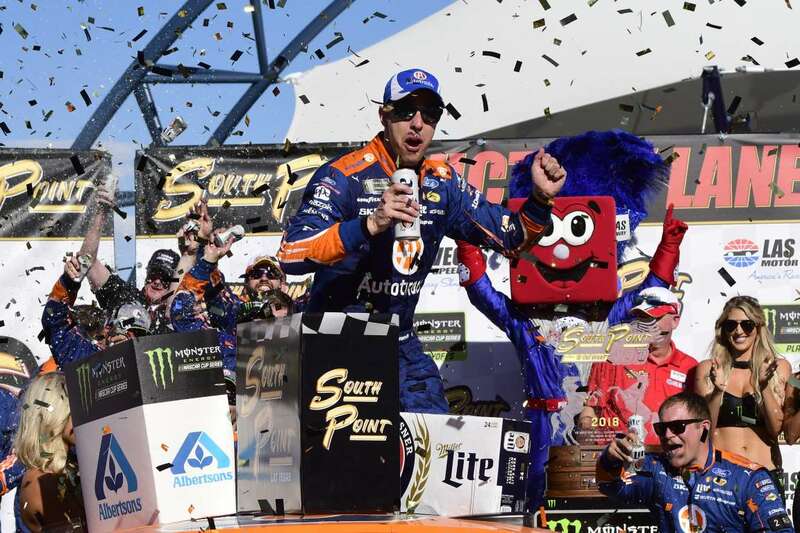 Brad Keselowski of Team Penske Ford Fusion celebrates in Victory Lane after winning the South Point 400 Monster Energy NASCAR Cup Series Playoff Race on Sunday in Las Vegas. 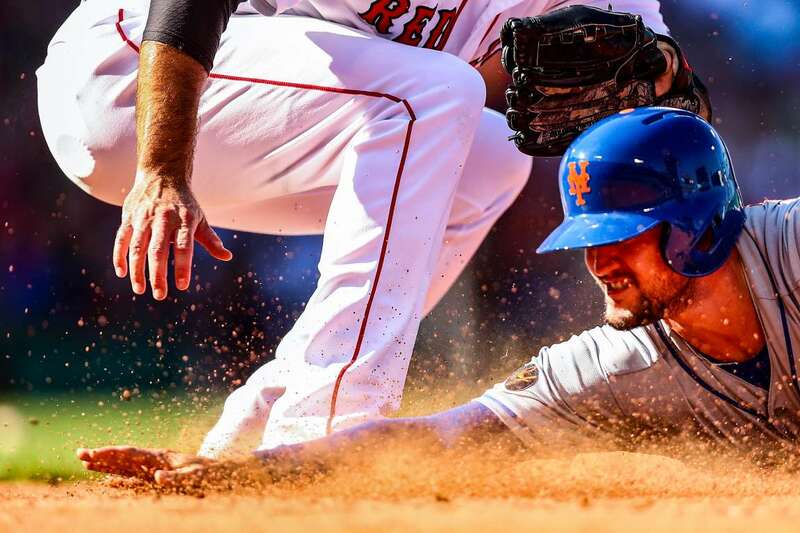 Jack Reinheimer of the Mets is tagged out at first base while he was caught in a run-down against the Red Sox on Sunday in Boston, Massachusetts. The Red Sox won 4-3. 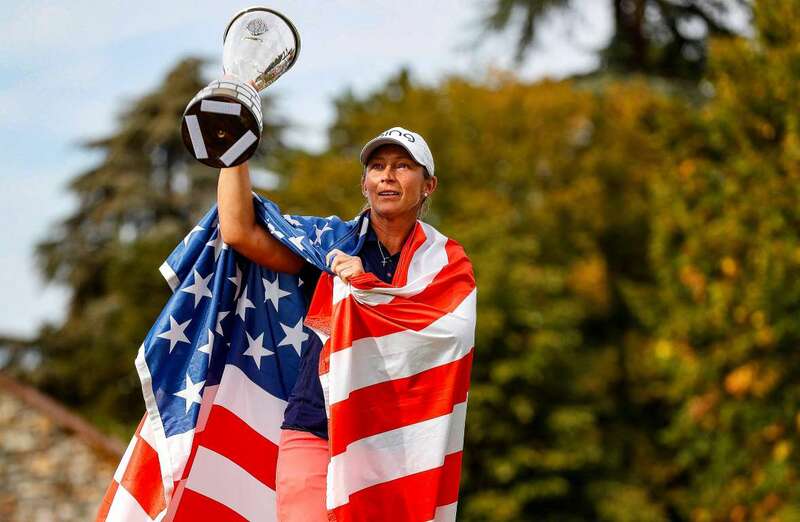 Angela Stanford of the USA poses with her trophy after winning the Evian Championship in Evian, France, on Sunday. Winning moment Angela Stanford of the USA poses with her trophy after winning the Evian Championship in Evian, France, on Sunday. 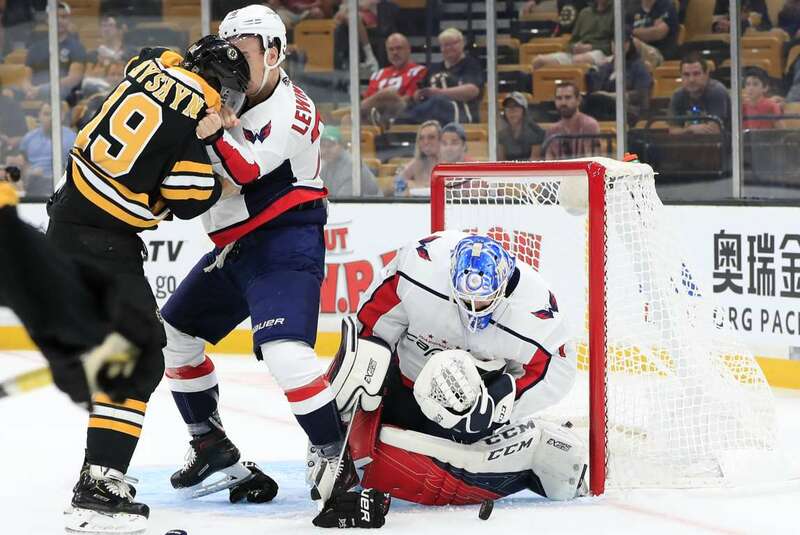 The Capitals goalie Phoenix Copley loses the puck as the Bruins' Zach Senyshyn, left, and the Capitals' Tyler Lewington fight on Sunday in Boston. The Bruins defeated the Capitals 2-1. 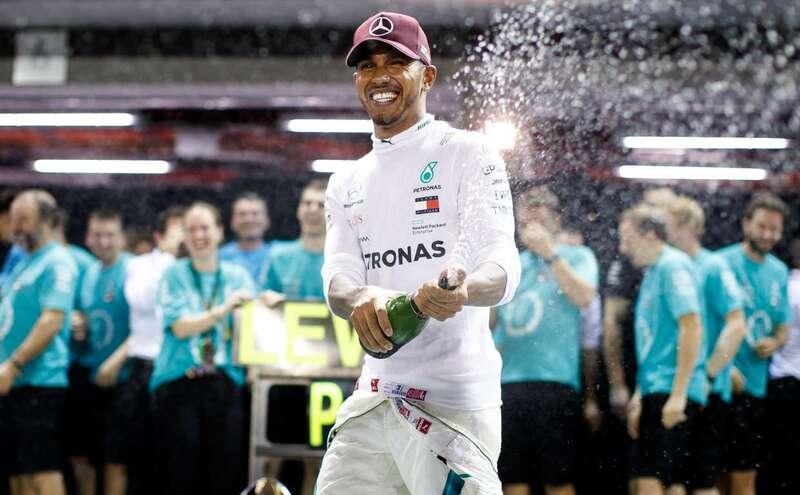 Race winner Lewis Hamilton of Great Britain and Mercedes GP celebrates with his team after the Formula One Grand Prix of Singapore on Sunday. 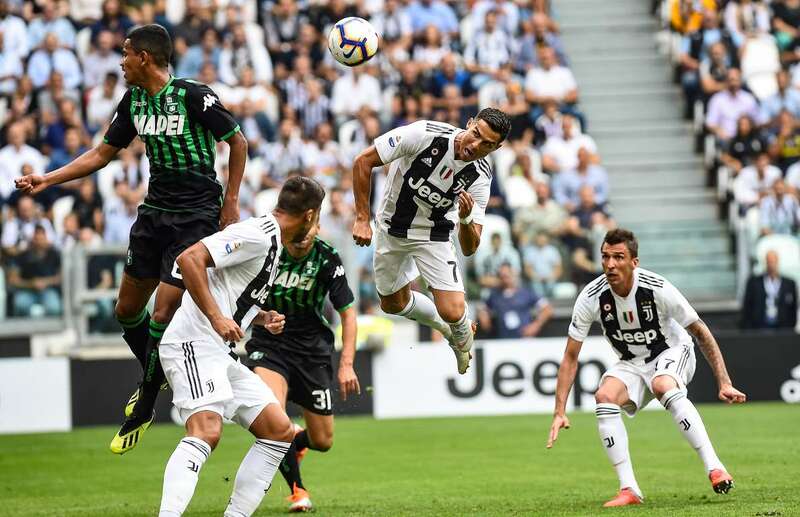 Juventus' Cristiano Ronaldo in action during the Serie A match against the U.S. Sassuolo on Sunday in Turin, Italy. Juventus won 2-1. France's Kevin Mayer reacts as he competes in the pole vault event during the IAAF 'Decastar' World Combined Events Challenge in Talence, France on Sunday. 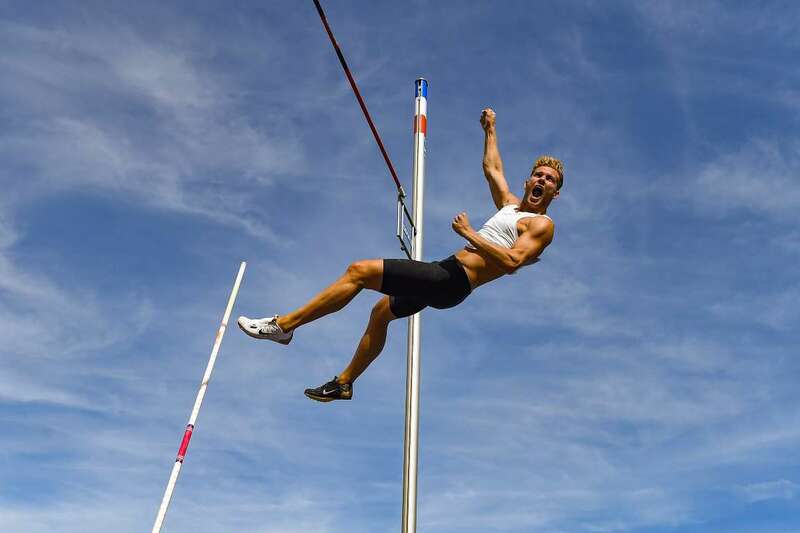 World champion Kevin Mayer broke the decathlon world record by scoring 9126 points. 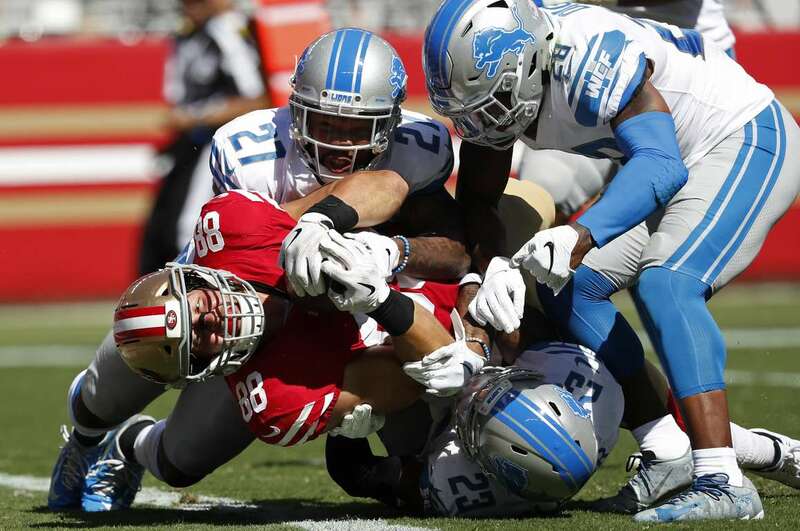 The 49ers' Garrett Celek gets past the Lions' Glover Quin (27), Quandre Diggs and Darius Slay (23) to score a touchdown on Sunday in California. The 49ers won 30-27. 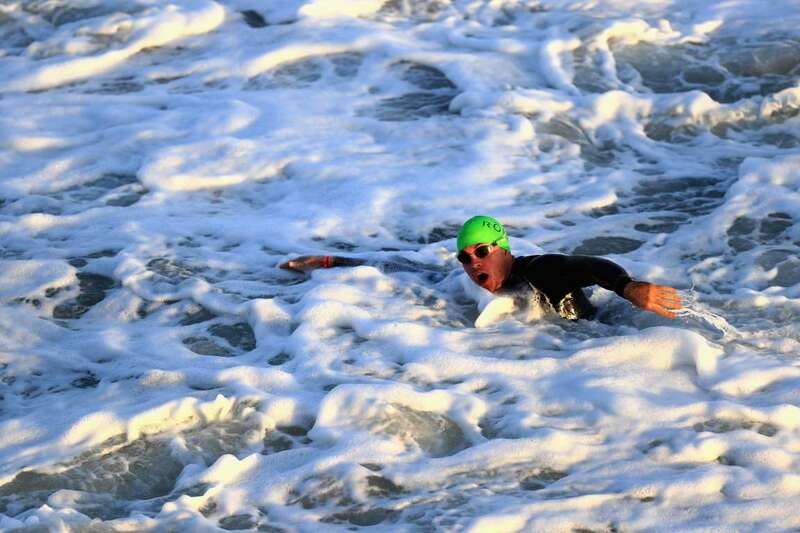 A competitor swims through waves during the IRONMAN 70.3 Superfrog on Sunday in Imperial Beach, California. 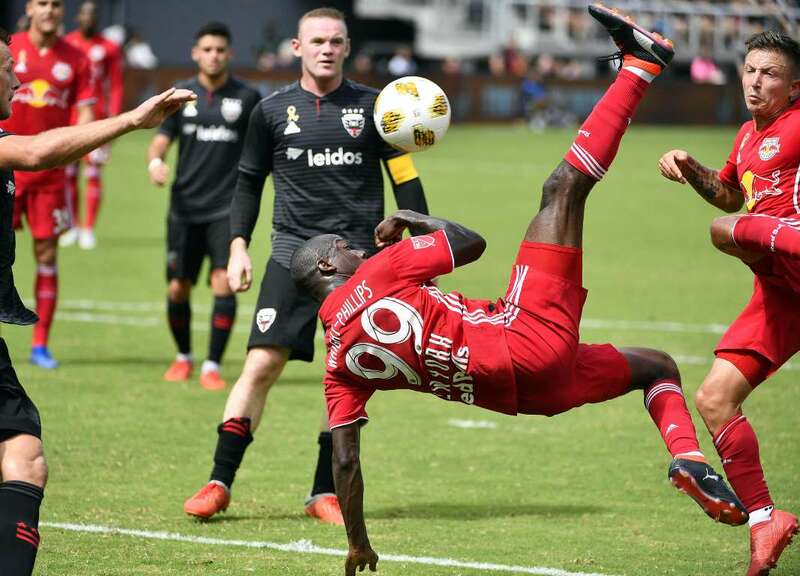 Bradley Wright-Phillips (99) of the New York Red Bulls scores a goal as D.C. United's Wayne Rooney looks on, on Sunday in Washington. The game ended in a 3-3 draw. 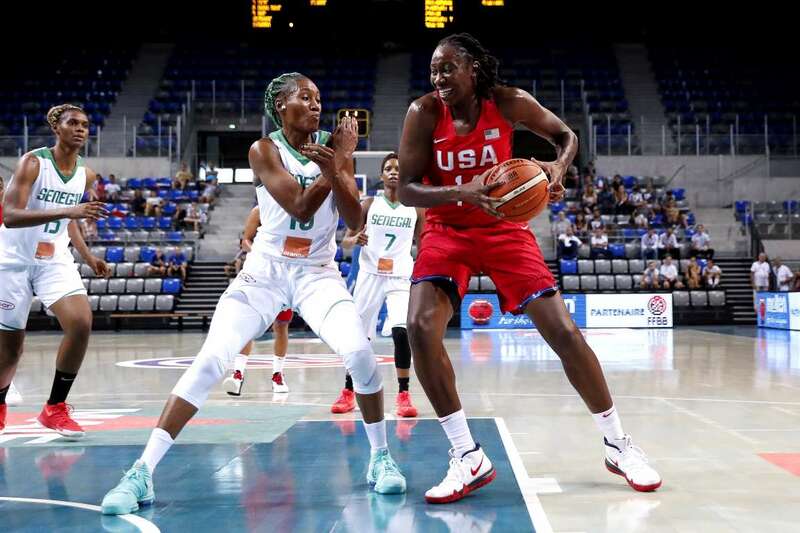 Tina Charles, right, of the USA National Team handles the ball against the Senegal National Team on Sunday in Antibes, France. USA won 109-58. 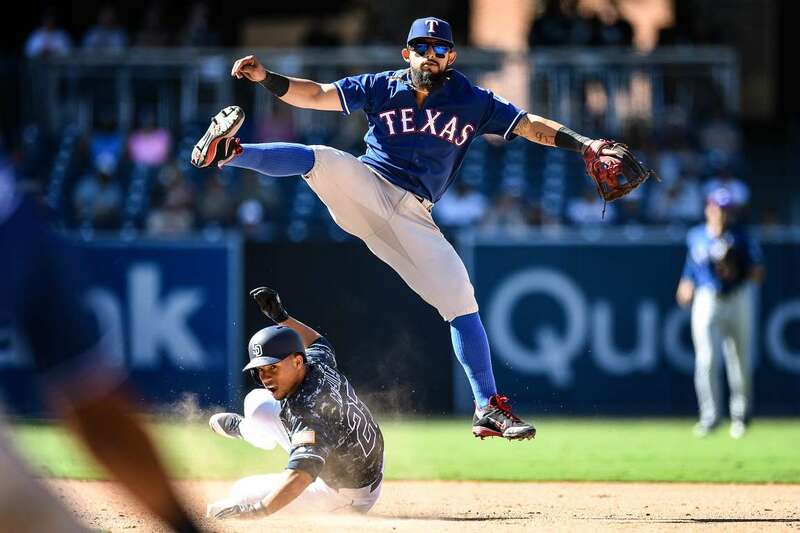 Rougned Odor of the Rangers makes a double play over Franciso Mejia of the Padres on Sunday in San Diego, California. The Padres won 7-3. 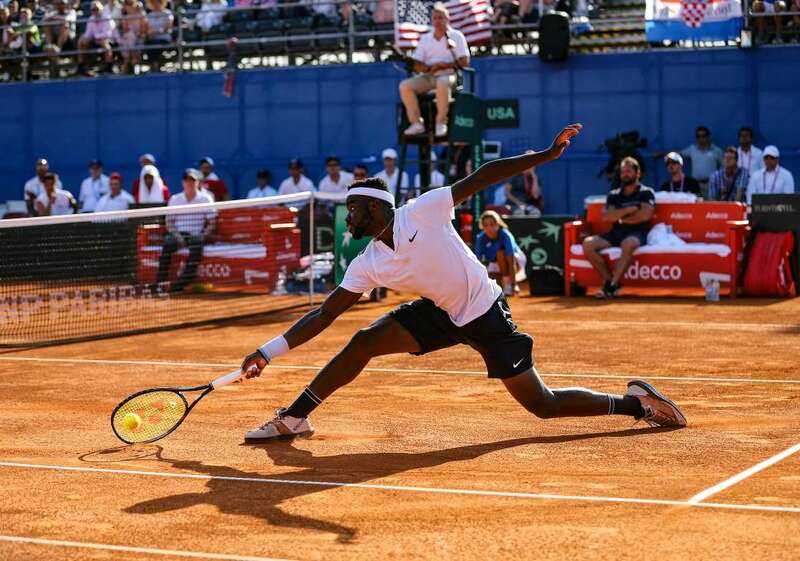 Frances Tiafoe of the U.S. in action during his Semfinal match against Croatia's Borna Coric at the Davis Cup in Zadar, Croatia on Sunday. The USA lost to Croatia. 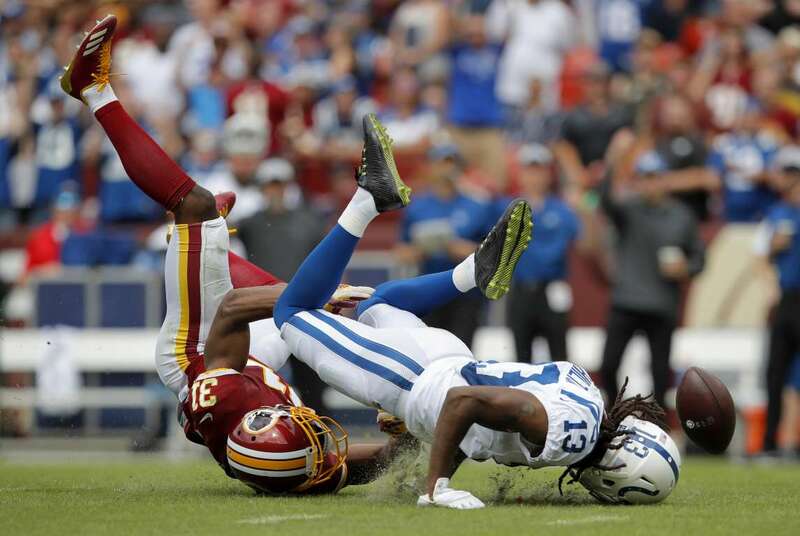 Washington's Fabian Moreau, left, tackles Indianapolis' T.Y. Hilton on Sunday in Landover, Md. The Colts' won 21-9. 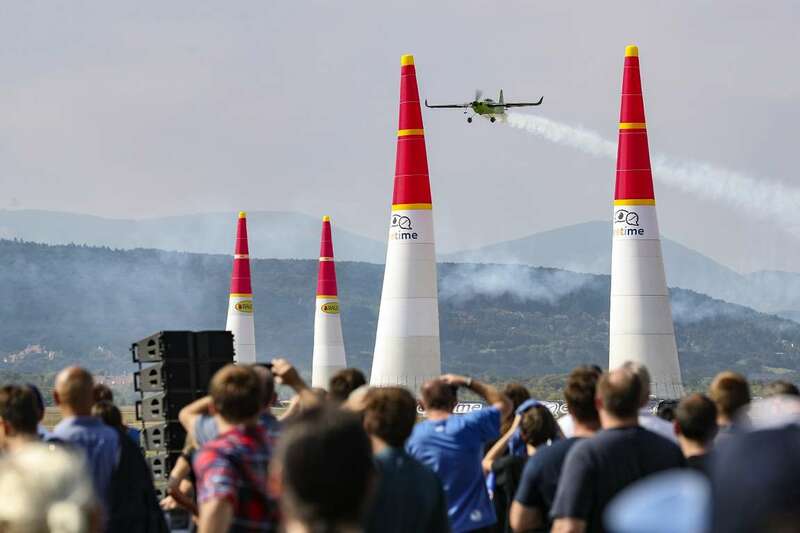 Francois Le Vot of France and Edge 540 V3 compete during the Red Bull Air Race on Sunday in Wiener Neustadt, Austria. 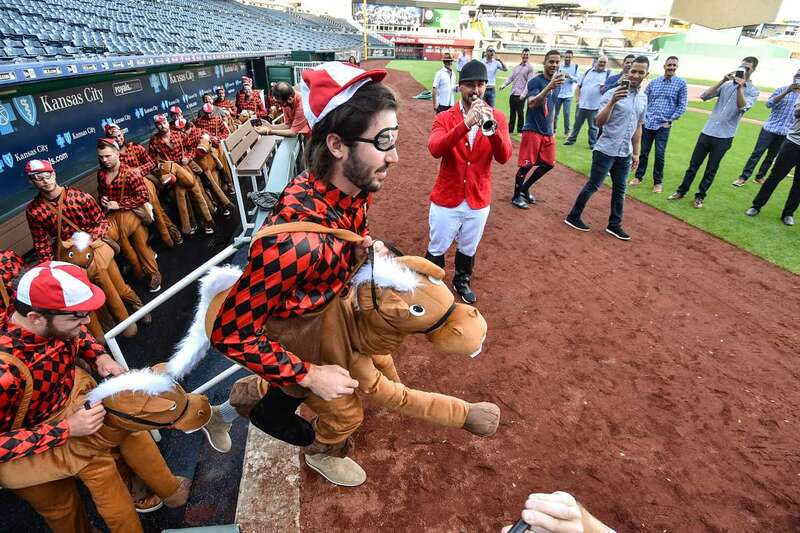 The Twins' rookie players take to the field as they participate in a derby race after their game against the Royals on Sunday in Kansas City, Missouri. 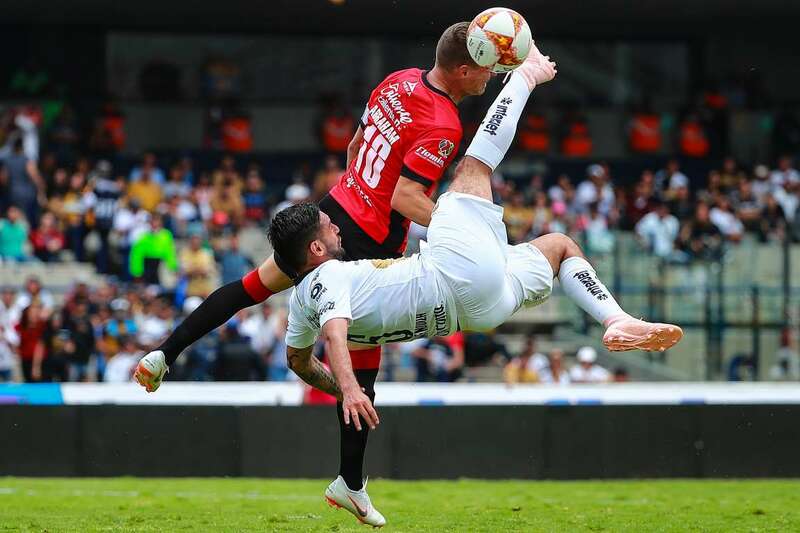 Alan Mendoza of Pumas struggles for the ball with Abraham Gonzalez (10) of Lobos BUAP as part of the Torneo Apertura Liga MX match on Sunday in Mexico. Pumas won 4-2. 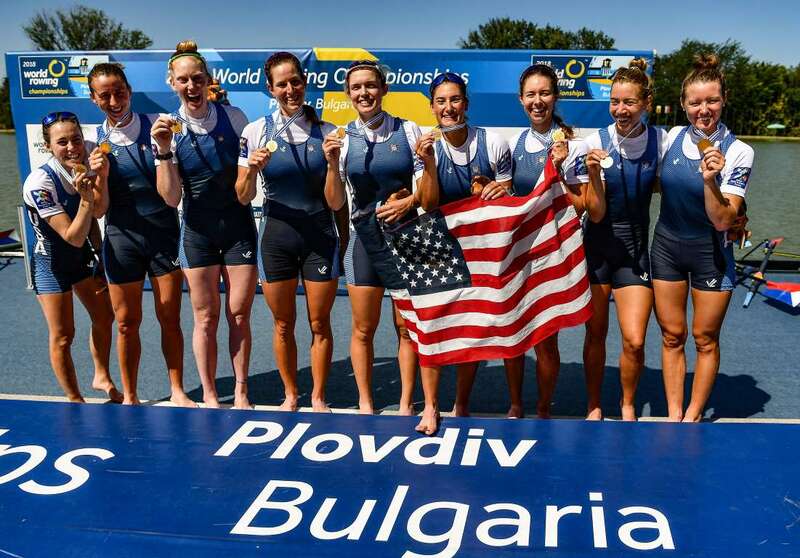 Team USA celebrates their victory in the Women's Eight Final on day eight of the World Rowing Championships on Sunday in Plovdiv, Bulgaria. 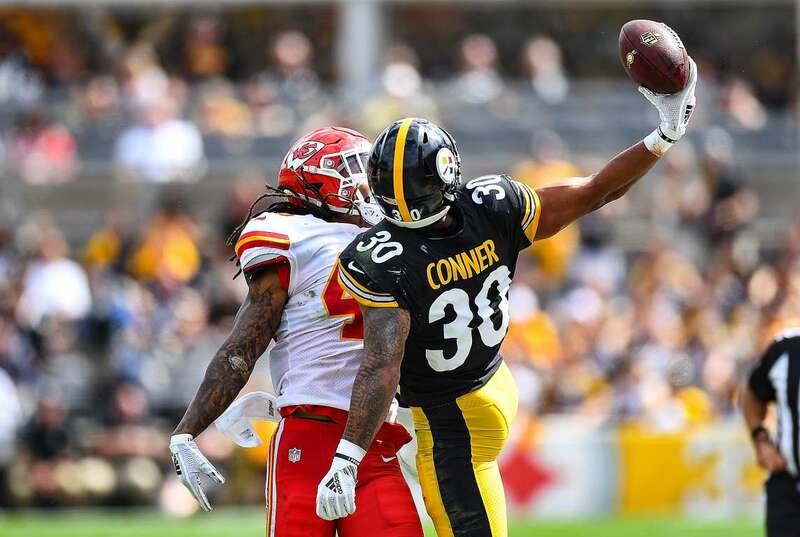 James Conner (30) of the Steelers makes a one-handed catch as Terrance Smith of the Chiefs defends on Sunday in Pittsburgh, Pennsylvania. Kansas won 42-37. 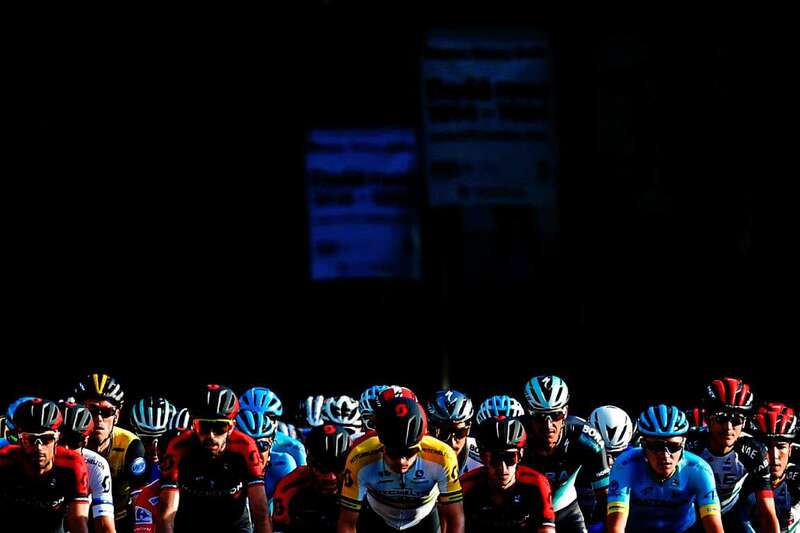 The pack rides during the 21st stage of the 73rd edition of "La Vuelta" Tour of Spain on Sunday in Spain. 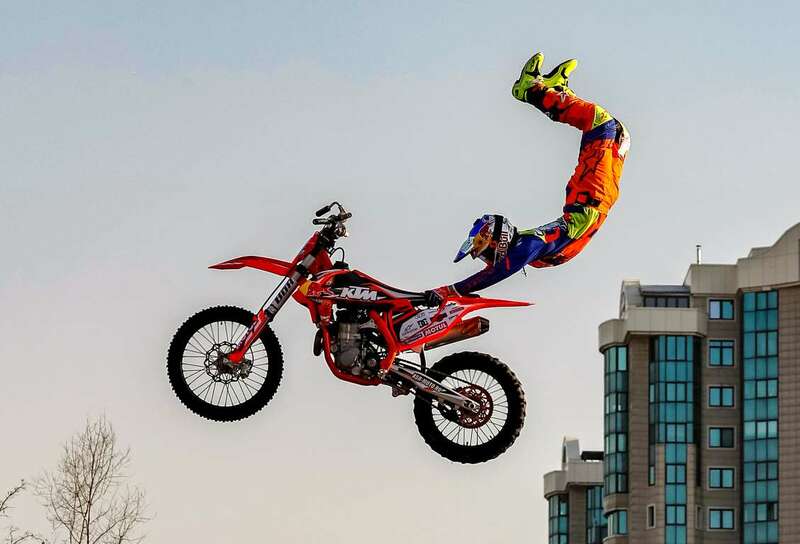 Alexey Kolesnikov of Russia soars during the freestyle motocross games Red Bull FMX Jams in Almaty, Kazakhstan on Sunday. 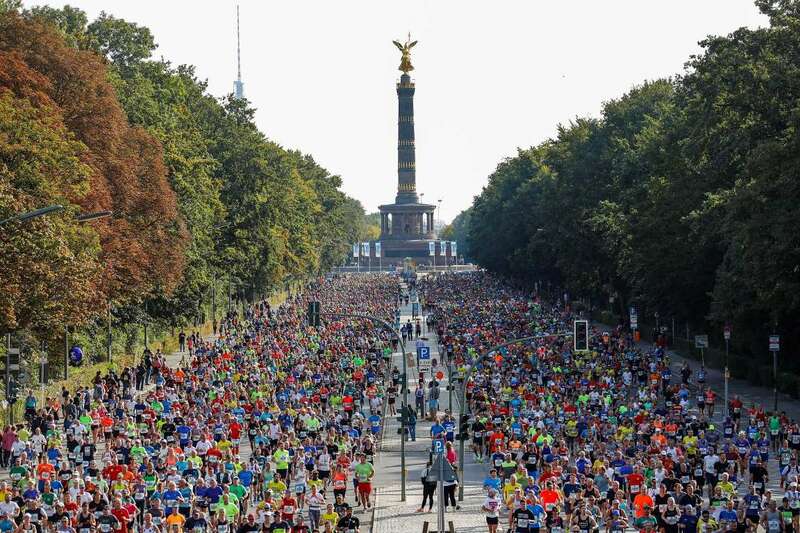 People participate in the Berlin Marathon on Sunday in Germany. 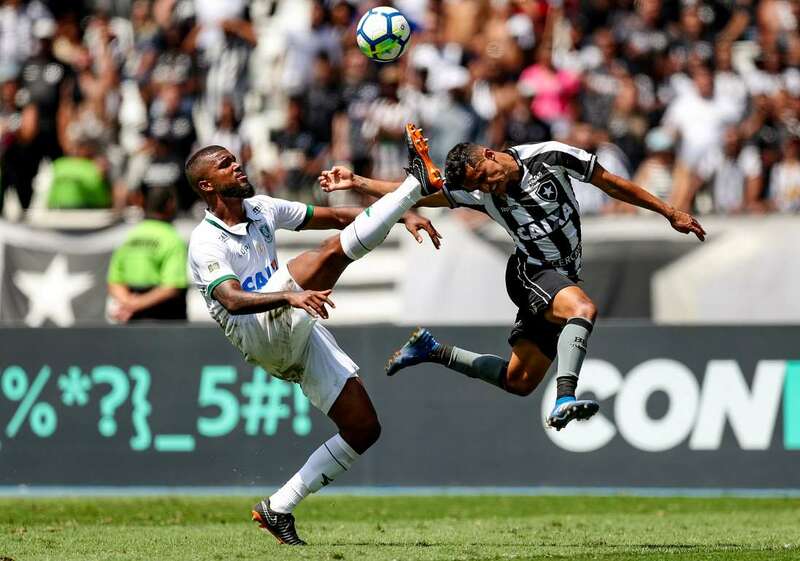 America Mineiro's Messias in action with Botafogo's Erik during the Brasileiro Championship on Sunday in Rio de Janeiro, Brazil. Botafogo won 1-0.